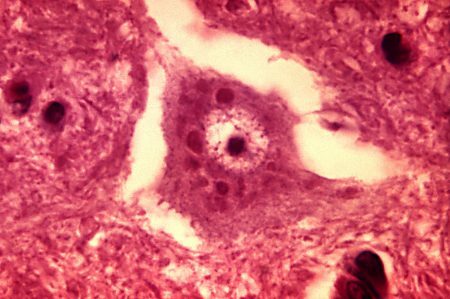 Rabies is a viral disease that affects the brain and central nervous system (CNS). The ailment is on the rise and poses a serious threat in the U.S. and many other parts of the world. In fact, according to the World Health Organization (WHO), over 55,000 people die of rabies annually. Moreover, pets who are unvaccinated can be highly vulnerable to the life-threatening, infectious disease, which may result in prolonged suffering and an excruciating death. That being said, here are some obscure and little-known facts about rabies. Rabies is categorized as a zoonotic disease. Meaning, it can be transmitted from animals to humans and/or vice versa. 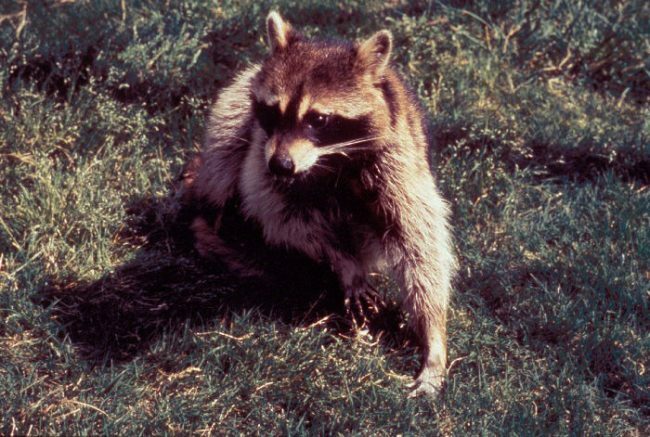 According to the U.S. Centers for Disease Control and Prevention (CDC), statistics show that Pennsylvania had an 11 percent increase in rabid animals from the previous year. Moreover, Pa. is the No. 1 state in the nation for rabid cats. In fact, Pennsylvania has 62 percent more cats with confirmed rabies than Virginia, which is the state with the second-highest number of confirmed cases. Rabies can infect any warm-blooded animal or mammal. There is no cure for the disease and it is almost always fatal. Once symptoms begin to manifest, an infected animal usually dies within five to 10 days. Most cases of the ailment in humans occur in rural areas where healthcare facilities and effective treatments, such as human vaccines and immunoglobulins, are not readily accessible or available. The disease affects both domestic and wild animals (e.g. dogs, cats, bats, raccoons, skunks, foxes, etc.) and is spread to people via close contact with infected materials, which might include bites, scratches, saliva, blood contact, and/or an existing open wound. Early symptoms of the illness include fever, pain, and/or a tingling sensation around the wound. If a person or animal has contact with a suspected infected vector, thorough cleansing of any wounds and immunization within a few hours of contact can prevent the onset of the disease. Another obscure and little-known fact about rabies is that its incubation period, which is the time gap between exposure to a disease and the onset of symptoms, can vary greatly. In general, the incubation period is usually three to eight weeks. However, it can be as short as five to nine days or as long as several years in some cases. The incubation period can depend on several factors, including the animal or an infected person’s immune system, the location of the entry wound, and severity of the wound. Given that rabies attacks the brain and CNS, the farther the wound is from that area, the incubation period will likely be longer. Thus, the incubation period for a foot or leg wound would be longer than for a shoulder or neck wound from a rabid vector. There is no way to test for the infection in a live animal. The only way to test definitely for the disease is via examination of the brain tissue of a dead vector. An infected animal can only transmit the ailment after the onset of symptoms. If an animal is suspected of being infected with the disease and it has bitten a human or another domestic animal, it must undergo a mandatory 10-day quarantine period. This quarantine is standard in most states, however, it can last up to six months under certain circumstances. Ninety-five percent of human deaths from the disease occur in Africa and Asia, where access to healthcare facilities and treatment protocols are limited. While dogs are the primary source of human rabies deaths in Africa and Asia, bats are the main vectors of infection in the Americas. Recently, there have been many cases of the disease attributed to bats in Australia and Western Europe, as well. Meanwhile, human deaths linked to the illness from other common vectors, such as raccoons, skunks, foxes, jackals, mongooses, etc., are quite rare. 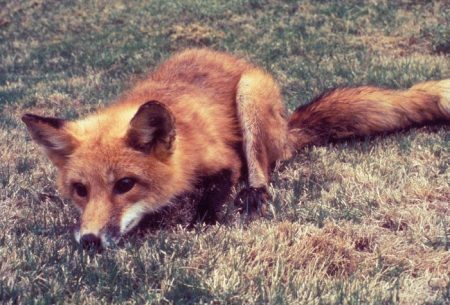 If it is determined that a human has received a wound from a rabid animal, they must undergo treatment with post-exposure prophylaxis. This protocol involves a series of vaccinations and, in many cases, immunoglobulins over several weeks. More than 15 million people receive post-exposure vaccinations against the disease every year. This prevents the illness from spreading and is estimated to stop countless rabies deaths around the globe. Rabies is a vaccine preventable disease. By vaccinating potential vectors for the illness, including strays, this prevents the infection from being passed to humans and breaks the transmission pathway. In Bangladesh, a rabies elimination program, which involves mass dog vaccinations, has resulted in a 50 percent drop in human deaths from the disease between 2010 and 2013. Similarly, other countries, such as Tanzania, the Philippines, and provinces like KwaZulu-Natal, have also demonstrated that control of the illness is possible via the use of these vaccination programs. There are two forms of rabies–the aggressive form (e.g. foaming at the mouth and acting violently) vs. the dumb form. This is when a wild or domestic animal is acting out of character. A prime example of the dumb form includes nocturnal animals (e.g. bats, skunks, raccoons, etc.) who are out in the daytime, dazed, confused, and often lethargic. Among the many obscure and little-known facts about rabies is that the ailment is present on nearly every continent, with the exception of Antarctica. In the United States, the disease has been reported in every state, except Hawaii. If someone has an overwhelming fear in regards to contracting the illness, Hawaii might be their safe haven since it is the only rabies-free state in the nation. The ailment is most prevalent along the East Coast from Florida to Maine and in Southern Arizona along the Mexican border. This article has provided readers with important information about a serious, life-threatening illness that is often misunderstood. Moreover, it should heighten their awareness of the severity of the disease and required treatment protocol if needed. If nothing else, it should educate readers regarding the obscure and little-known facts about rabies. 2 Responses to "15 Obscure and Little Known Facts About Rabies"
With respect-thank you-Do you mind if I add some more detail? Your common sense should be seen as the standard when it comes to this topic.